It has been a turbulent time in the real estate market for every single one of us across the nation, but there could be small signs of relief. It has been a tough market for the last year and especially in the month of October. Many folks are nervous about the economy, job security and the overall situation at hand. On the real estate front I am seeing some better news to report. In the last few weeks and there has been an uptick in buying activity; agents in my office are writing offers as well as many of my clients. A client of mine put an offer on a house that was relisted and to our surprise the home sold at list price in a very short period of time. Another investment property for a separate client had 5 offers, all of which were countered. Investors and a contingent of Buyers seem to be cautiously seeking out deals in the market place. Homes under $500,000 have been seeing competition even multiple offers and I am seeing some activity in ranges higher than $500,000 as well. These are faint indications and hardly any sign of a grand recovery. The next few months can help us gauge if this is a trend or just an outlier. If you have been on the sidelines, now maybe the time to start thinking about taking advantage of good properties in the marketplace. By chance I was at my local bank and walked over to ask what the mortgage rates were for the day. In my career I have never seen my bank have rates even comparable to what my loan agents find in the marketplace. To my surprise the rate that was being offered was extremely low. Mortgage rates are at their lowest ever recorded by Freddie Mac and Fannie Mae and it shows! Call your loan agent, call a few banks and go with whichever group has the best rate for a refinance or purchase. It used to be that anything above $417,000 was considered a jumbo (and below is a conforming loan). Today there is an intermediate loan product called a jumbo conforming which handles loans between $417,000 to $729,750 which still has decent rates. Any loan amount above $729,750 is considered a jumbo loan and rates are much higher than either conforming or jumbo conforming products. Second loans are pretty much no longer in existence, the model of private mortgage insurance has returned. For those of you who have a 1st loan you do not plan to refinance, some good advice given to me was to take out an equity line of credit (while in a good job situation) which has low rates currently for emergency situations. Check with your loan agent, accountant and financial advisor to ensure this strategy makes sense for your circumstance. Just a reminder that property tax in Santa Clara County is due on April 10th! There will be a penalty if you pay past this date. Go to http://www.scctax.org/ or call the County of Santa Clara at (408)808-7900. There are legitimate Mortgage Foreclosure Consultants out there, but there have also been many fraudulent companies in these tough times. Mortgage consultants are not allowed to collect any upfront fees until services are fully rendered; this is the first and most common indication that this is a questionable company. It is critically important to step away from the short run and focus on the long run. Any investment should be a long term investment. We have seen time and time again that the economy is cyclical but trends tend to be overall upward in the long run. Position your real estate property for the long run and ride through this turbulent time. If you have an opportunity to do so, it maybe time to buy a property at this low point, so that you can take advantage of the upside once it returns. If you or someone you know needs Real Estate help, I will do all that I can in my power to assist them. 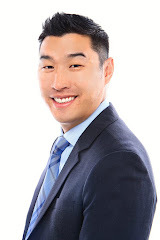 We have just added your latest post "Alan Wang's Real Estate Blogger: April Real Estate Update" to our Directory of Foreclosure. You can check the inclusion of the post here . We are delighted to invite you to submit all your future posts to the directory and get a huge base of visitors to your website. Nice blog. Get all information about real estate. Visit real estate Queens NY to book your new home. thanks for beautiful article sharing with us. Homeia.com is a website that organizes and publishes real estate content thoughtfully to make it much quicker for you to find the information you want, when you want it. Besides, Homeia also specializes in digital marketing for real estate businesses, including home builders, realtors, and property managers. So, if you are realtors, just list your profile on Homeia for free and get your potential clients. Good to know about this. If you are looking for Real Estate Virtual Staging Software,then you can contact whynothomes for more details. Great work man i would like to congratulate you on this effort. Such a great and valuable information you have shared, i'm really impressed from your blog post about the real estate. I want to say thank you for beautiful article sharing with us. I will share this with Professional Real Estate Management Firm in Plantation. Thank you Dan. love an inefficient market. This post is really helpful thanks for sharing it. The real estate lawyer who provides the renowned litigation law firm to their clients so that they can able to pay taxes on time. This is really helpful. Also for other construction company selection tips, you might be interested in visit masonry contractors queens ny. These helps us a lot. This post is really worth for me and I love the way the information you actually gave which will is very informative for persons like me who are fond of this. Real estate industry is growing really fast. There are many technological advancements in this industry. Recently I have read a blog on Real Estate Virtual Assistant and was amazed to know how it can help you to grow your business with their account management and marketing services.